This CCXR is one of the most notable Edition cars. It is the only Edition to feature a paddle shift gearbox as originally equipped from the factory. 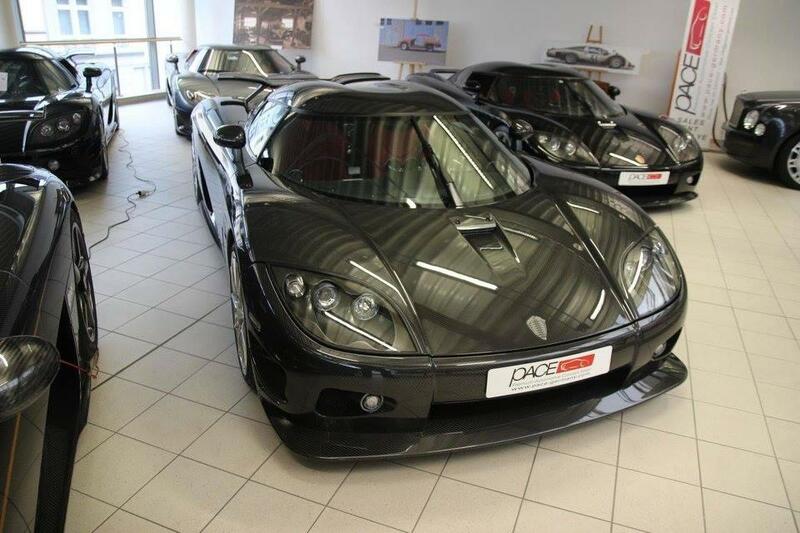 This car was first listed for sale in late September 2009 by Auto Salon Singen in Germany. In October of 2009 we were supplied a list of the VINs of all six Edition cars. At that time, #074 was said to be U.S. spec, with a U.S.-spec VIN. Sure enough, in early 2010 it appeared in an online listing at DuPontRegistry.com, a predominantly North American exotic car site, for $2.5 million. In this listing the car was described with its U.S.-spec VIN, although the car as pictured was not U.S.-spec, and in fact the photos supplied with the listing showed it still at Auto Salon Singen. By May of 2010 it was back at the Koenigsegg factory. Since that time, it has been offered by other dealers in Europe, notably Cohen & Cunlid in Marbella Spain. This car has recently been spotted on German plates but has also been on display at PACE in Germany, presumably for winter storage. This car was exhibited at Top Marques Monaco in 2012. While this car was said at one point in its early history to be U.S.-spec, there is no evidence to indicate that it ever appeared in that state. Full Edition package featuring clear coated carbon fiber bodywork and Edtion-specific rear wing. The model call-out panels on the side show merely the Koenigsegg crest, a feature unique to Edition models. This car rides on the eleven-spoke, silver clearcoated wheels. This car features clear rear side marker lights, indicating it is NOT U.S.-spec. A distinguishing exterior feature of this car from the rest of the LHD Editions is the lack of a rear parking sensor in the right rear grille location. Full Edition-spec interior, featuring predominantly black leather and alcantara, and contrasting red leather seats and door inserts. Red "Koenigsegg Edition" labelling on passenger dashboard. Aluminum center console section, with the new style touchscreen infotaiment center. This car features the paddle shift transmission, the only Edition so equipped. This car features a passenger airbag, but the presence of this airbag does not necessarily indicate this car was built to U.S.-spec. This is because at chassis #064, Koenigsegg began equipping all of its cars with passenger airbags, whether they were due for the U.S. or not (the only exception to this was the Trevita #071, and only when it was in its original RHD state). All Edition models have a 4.8 liter version of the CCX-series bespoke twin-supercharged Koenigsegg engine. The larger displacement was achieved through an increase in cylinder bore. Car #074 was built as a CCXR Edition and is therefore biofuel capable. The 4.8 liter engine of the CCXR Edition is rated at 1018 horsepower on E85. When we were originally supplied with the VIN for this car, it was said to be a U.S.-spec VIN of YT9ED33B78A007074. This VIN indicates Model Year 2008, as would have been required for U.S. compliance. Since it does not seem that this car ever appeared in U.S.-spec, it is unknown whether this car ever actually carried this U.S.-spec VIN. This original VIN follows the format for the other known U.S.-spec Edition, car #058; that is, YT9ED33B. What is very fascinating is that the VIN this car currently carries is in a unique format that is not seen on any other Koenigsegg, either Edition or otherwise; that is, YT9EC11B. This car's current VIN denotes it as Model Year 2009.